…especially if you’ve been burned in the past. Let's face it, not all agencies are created equal. Digital marketing agencies, in particular, are often met with hesitancy, no thanks to some seriously slimy companies. You need only read the horror stories of shady agency tactics to see why. Maybe you even have stories of your own and this can certainly leave you sceptical. But, let's revisit this again: not all agencies are created equal. If you've had a negative experience with a marketing agency in the past, reframing this statement involves working through some scar tissue. We understand – it's a process. However, as the cliche goes, you can't let one bad apple spoil the bunch. There are still competent, capable, and trustworthy agencies out there. The thing is, we don't need to try and reinvent the reputation of all agencies; we need to focus on our own reputation. And as an agency, we also need to take care to help you be more prepared and informed. If you're going to work with an agency, it's your responsibility to make sure you know exactly what's in their barrel before diving in. If you're ready to give an agency (another) shot, read on to discover valuable questions to ask yourself and the agency before signing on the dotted line. You'll also learn about how these questions should be answered, to help you distinguish between red flags and gold stars. After all, clarity should come before commitment. Let's begin our "interview with an agency"! 1. What type of marketing do they employ; can they demonstrate its success? Expanding on the idea that agencies aren't equal in standards, what they do differs greatly as well. Just because an agency claims to be digital marketing experts doesn't mean they're employing the latest and greatest type of digital marketing. Inbound marketing and content marketing are no longer just buzzwords in today's age; they are complementary components of a digital marketing strategy. An agency should be able to describe to you the foundational strategy of their program, but you don't want to get lost in the jargon. Have them show you an example of their method and how it unfolds step-by-step to drive results. It should be evident that the agency has a strong grip on how important context is in relation to content marketing. 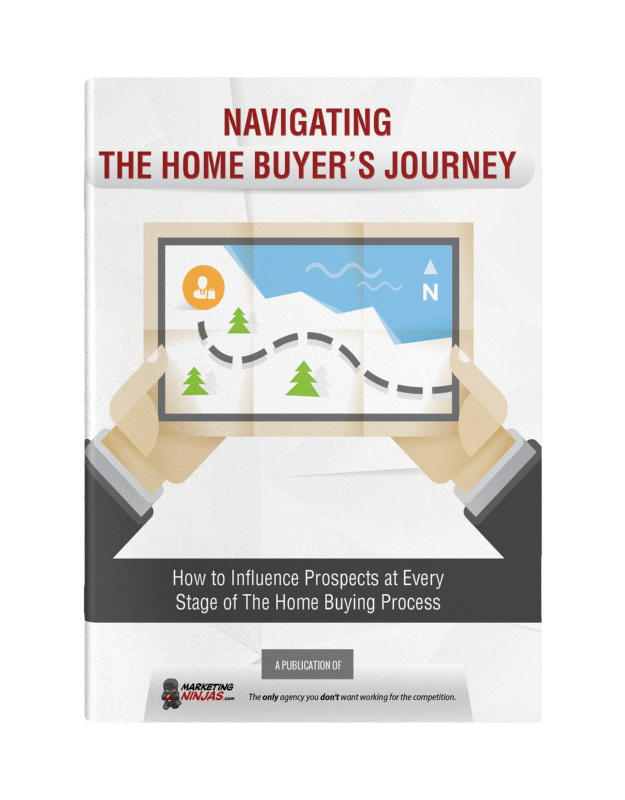 This means they're focused on creating content that directly relates to your prospects and where they are in their home buying journey. They're able to help you craft buyer personas and implement a content strategy targeting them specifically. Now, if the company claims past and current success, you're going to want proof. This should be something they're able to provide. We'll unpack this further in the article when we discuss promises and expectations. 2. 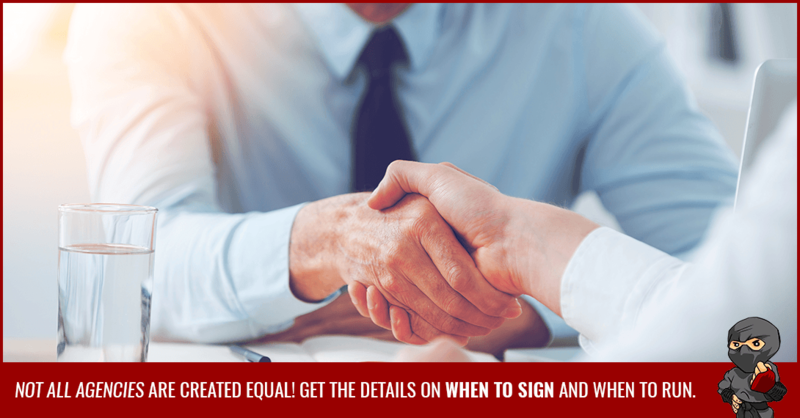 What are the package options and what’s included in the contract? Most agencies will offer more than one package to choose from. Offerings like the volume and frequency of content creation, additional work (like video creation or email marketing) should be defined. It helps to know what a modern home builder marketing strategy looks like so you know what to watch for. Not only should you be given a detailed outline of what each package includes, the agency should be able to explain which package will benefit your company most and why. If they simply want you to choose the largest or most expensive package without concrete evidence demonstrating their reasoning, dig deeper. Knowing exactly what you're getting for exactly how much is crucial. Another thing to keep in mind around packages, is that they should be customized to your needs. No home builder is the same. They have different needs, different strengths, and different requirements. A cookie-cutter package doesn't work for everyone. The best solution for your organization is one that's customized around your organization's goals, your current marketing team's strengths and abilities, and is focused on making you, the revenue hero, not them. 3. 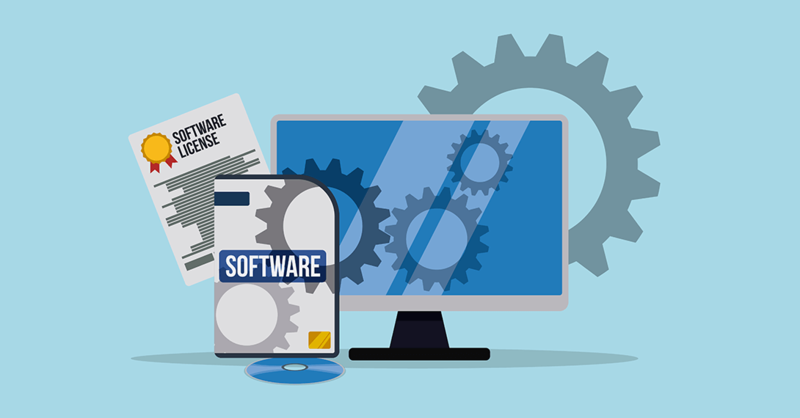 What software and tools are required? Are they efficient and effective? The purpose of hiring an agency is to make your job easier and provide new value that wasn't there before. When an agency is asking you to implement a hundred and one software tools, that can be a big warning sign for future disorganization. An experienced agency has refined their methods enough to have a streamlined processing system. Some may require just one or two user-friendly platforms. Our software of choice is HubSpot because it truly is one hub that does it all! With everything in one place, it's simple for you to stay connected and keep all of your data in one place. For content collaboration, again, a single platform such as Basecamp leads to neat and easy interactions. We'll touch on this again when we talk about working with the team. 1. Whom will you be working with regularly? We all know the people you work with have a huge impact on your daily satisfaction and successes. Just because the agency you hire isn't physically in the office with you, you're still bringing on new teammates. You want and should be encouraged to get to know those you'll be corresponding and working with. Your best case scenario is one in which you're convinced you're working with the ultimate home builder marketing dream team – and actions back this up, not just words. 2. Is the approval process simple and collaborative? We mentioned Basecamp as a practical and "goof-proof" platform for content collaboration. It allows for both parties to contribute, edit, comment, and more, on all content. If it wasn't already clear, you definitely want there to be an approval process in place. If an agency isn't concerned with getting the go-ahead from you before putting stuff out there with your name on it, run. Fast. In regards to approvals, figure out what is needed on your end right away. How available will you have to make yourself? What exactly are your responsibilities? What kind of timeline do they work on, and how does it relate to you? Do they incorporate your feedback? How? Knowing everyone's roles and responsibilities before agreeing to anything is essential to avoid being taken advantage of. A good agency will allow you freedom of expression and contribution, but also won't place a load of work on your plate that you don't have time for. 3. 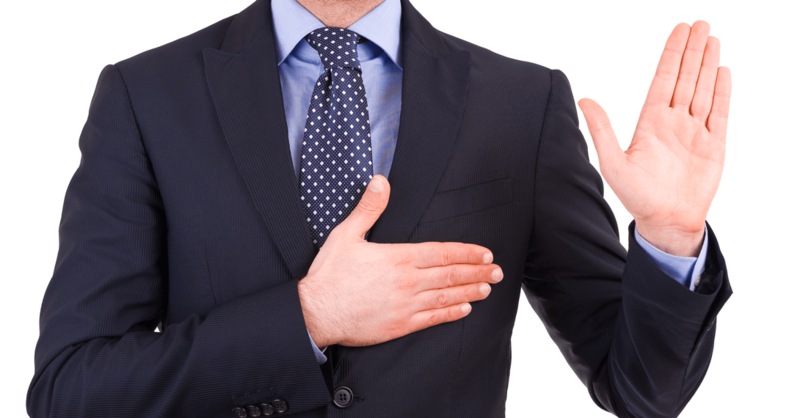 Is transparency, honesty, and communication in place? These are (perhaps arguably) the most important qualities you want from the very beginning. Any avoidance or deflection of questions you ask should be taken as huge red flags. An agency that operates with integrity will be happy to communicate with you openly – it should be clear they have nothing to hide. Then, moving forward, you can expect to always be kept in the loop. Results, as well as fallbacks, should be accounted for and shared with you – always. Let's get into how this should be accomplished. 1. What do they use for analytics/how are results shown? Will you be given access to an analytics dashboard to follow the progress of your campaigns? A platform like HubSpot allows for this – but even if an agency is using it, check that you'll be made an Administrator of the account. The ideal scenario is that the agency sets these up under YOUR control, and then sets themselves up as administrators or users. Despite all the backend work that might be happening here, you reserve the right to keep control of your data. A good agency will also provide you with regular reporting and performance updates. You don't want to work with an agency that isn't able to measure the results of the work they produce for you or that isn't willing to show you these results. When an agency lets the numbers do the talking, there's no room for misinterpretation. 2. Does the creative strategy have specificity and results relevant to your industry? You wouldn't hire a welder to cut your hair – so why hire an agency that doesn't specialize in your industry? As a digital marketing agency that only works with home builders, our strategies are highly specific to this industry. An agency that actually understands the behaviours of modern home buyers makes for a seamless partnership. There is no time wasted familiarizing themselves with your industry and target audiences. Instead, this is a process the agency has mastered due to their niche approach. Don't get stuck paying an agency to "learn" how to do it for you. Hire a team of professionals that specialize in your industry. Plus, any client scenarios and success stories will be much more relatable. You get to see how other home builders are benefiting greatly from the same program you're interested in implementing. 3. Does content infuse with your brand strategy? In addition to seeking an agency that is extremely familiar with your industry, it's wise to look into who they are and whether or not their company values line up with your own. Read their mission statement and corporate values. Take the time to browse their website or even ask for examples of client work they've produced. Get a feel for whether or not this agency conducts their work with honesty and, of course, quality assurance. The last thing you want is to link up with a shady agency and have your brand suffer by association. Solid agencies, as we mentioned, will be transparent and honest. 4. Are the results presented customer-centric and valuable? Pressing to find virtue in an agency is not done for your sake only. The whole reason you hire an agency is to provide more value to YOUR customers, above all else. You want an agency that shares those values, and if they seem to want to increase their internal success instead of adding value for your customers, that's another red flag. A good agency will put your customers' success first because they know that it's tied to yours, and by extension, their own. 1. How and when will you see a return on investment? An investment in your company's marketing is a long-term game, and it can sometimes take a little while to see the maximum results. As more customers are brought in, go through their buyer's journey and leave happy, the results compound and bring in more and more new customers. For example, our current average monthly ROI for customers is 592% (as of July 2018), meaning they earn over $5 back in Net Profit for every dollar they invest in their marketing program with us! 2. Does it feel like a partnership or a take-over? After you've gathered all the information you can, this should be the final question you ask yourself. Hiring an agency should feel like connecting with an extension of your existing team. They will present you with strategies that can be incorporated into your existing marketing efforts and will not try to assert themselves as a separate unit. When an agency can highlight the ways in which they'll work with your team, versus for (or worse, against) your team, you'll be able to look forward to a collaborative effort with room for compromise. Your power is in your research and questioning. With an informed and inquisitive approach, you can find your perfect agency match. Stay away from those agencies that don't meet all of your requirements - don't compromise! Look for that specialized agency that checks all the boxes that you can form a long-term partnership with, and avoid being burned.